Supporting us in our mission to create and share content that inspires, educates and transforms are our generous Show Patrons! We work extremely hard to create and curate content and bring quality programming to our audience. Your generous contribution allows us all to explore new ideas, concepts and approaches through innovative programming. Together we can keep momentum moving forward for these shows, helping more people to improve the quality of their lives and businesses. 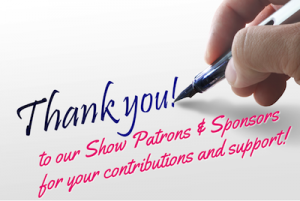 Show your support by becoming a Show Patron. In exchange for your contribution, your name and/or business name will be included on this page, too! Additionally, you’ll receive special Thank You gifts depending on your pledge level. YES, I want to support the Show!